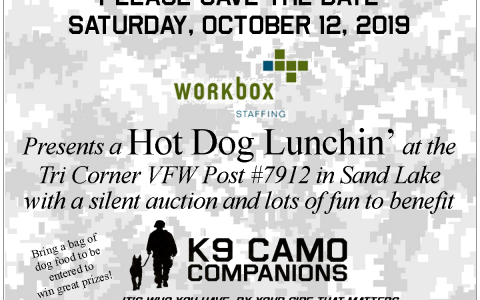 Come join us for a Hot Dog Lunchin’ at the Tri Corner VFW Post #7912 in Sand Lake. There will be a slient auction and lots of fun! Bring a bag of dog food to be entered to win great prizes!